Last month I got to welcome back to town my beautiful cake sister, Jen Drew! Most of our time was spent wandering around Paris and cake-storming over coffee at our favorite cafés. We got up to lots of baking projects including this sweet little vanilla cake with strawberry buttercream. 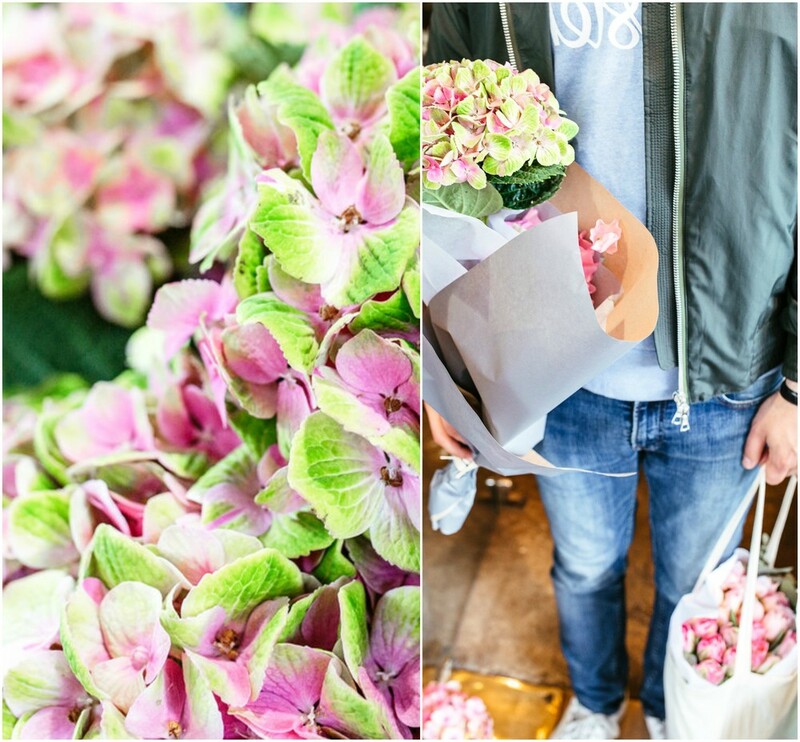 As it happens a friend from Switzerland was also in town to document a day spent foraging for ingredients at the markets and flower shops of Le Marais! Summer has been in short supply this month in Paris. Luckily our farmers markets have been a bright reprieve with baskets of overflowing summer berries. Since moving here nearly four years ago I have tried with great pleasure to distinguish between all the different types of strawberries on offer. Varieties you might see include gariguette, mara des bois, anaïs and my personal favorite, lovely little fraise des bois. Each variety is slightly different in flavor and fragrance. I've paired some of them with rhubarb for a wonderful compote, making for an excellent cake filling, while others were used as a simple yet elegant garnish atop a frosted layer cake. Most recently I tried my hand at the classic Victoria Sponge which calls for a layer of strawberry jam sandwiched between two light as air sponge cakes and fresh whipped cream., Heavenly! Here are a few of the cakes I've made this summer, starring that superb summer fruit, the strawberry. I hope you enjoy! Vanilla cake with lemon curd filling topped with anaïs strawberries. Double layer cake with rhubarb and strawberry compote filling. Strawberries and cream cake decorated with mara des bois strawberries and crystalized flower petals.